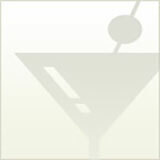 Energy in Vegas: Drinks and Mixers, That Is! Energy drinks aren’t one of the fastest-growing segments of the beverage industry for nothing and their displays at the Nightclub and Bar Show were enough to keep us going all day and all night! Here are a few of our favorites, as well as some others that we just can’t help mentioning for their over-the-top marketing style. Ice is the most important ingredient for any party. You’ll not only need lots of ice to cool down bottles of beer (or a keg) white wine and sodas, but you need it for mixed drinks as well. The good news is that ice is cheap, so buy lots of it. We recommend getting at least pound of ice per person. This should make for a cool event. There is quite a bit of confusion over what this stuff is, yet tons of drinks call for it. Basically, Sweet & Sour Mix is sugar syrup combined with lemon juice, lime juice or both. Q: I’ve been a bartender for 30 years. Some new bartender insists on squeezing the lime. I say don’t squeeze it, let the customer decide if they want to add the flavor of a squeezed lime. Q: What is orgeat syrup? Where can I get it?